My ornament is cut out with the Cricut Art Philosophy cartridge. The blue ribbon is Color Ready Seam Binding Ribbon that I dyed to match my paper. I ran the ornament through my Xyron machine and then covered in Prisma Glitter. 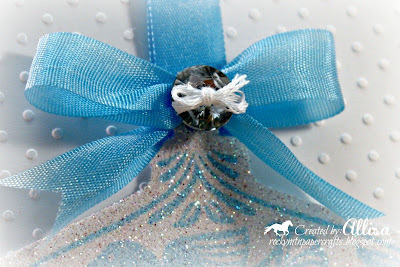 I added a bling button to my bow to give the card a little more sparkle. Thank you for linking up to my DL.ART Thankful Thursday challenge. Very pretty! Love the sparkle on your ornament. 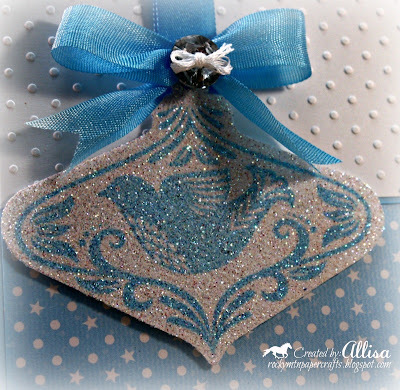 A really stunning Christmas card Allisa, I love the ornament,looks so pretty and the DP is gorgeous. Thanks for playing in our 'Monochromatic' Challenge #46, and for using a Digital OR Stamped image! Allisa your card is beautiful!!! thanks for playing along with us at CSAYL this week! Another beautiful card Allisa! Love that glittery Christmas bauble! Thanks for joining us at Merry Monday this week! Gorgeous Allisa! Love the ornament shape and the colours you chose. Beautiful card, the ornament is stunning. Thank you for joining us for Merry Monday. Stunning work Allisa, love the blue and the shimmer on the ornament! Thank you for joining us at Merry Monday! Gorgeous! I actually have this set and love what you've done with it! 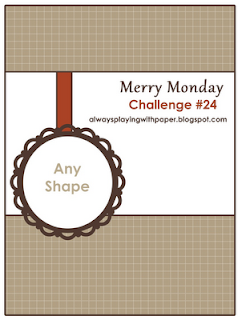 Thanks for playing with the Merry Monday sketch this week! 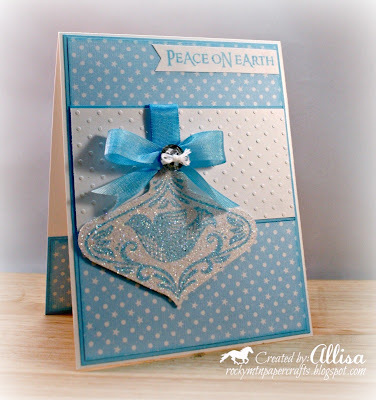 This is so serene and pretty, Allisa! I love that sparkly ornament! Glad you joined us at Merry Monday this week! This is so pretty! I love how you colored the image and added that sparkle! Thanks for joining us at Pattie’s Creations Design Challenge. Absolutely beautiful card. Love the colors and the look of it. The glitter is a perfect touch. Love the Xyron. Here from DL Art Thankful Thursday challenge. Love the sparkles and colors on your gorgeous card! Thanks for joining the Pixies at Pixie Dust Studio! Lovely card and thanks for sharing at CRAFTY CATZ this week, hope to see you next week.